The forces impressed by the envisioned density, buildings, infrastructures, and open spaces, come to the site as if they were organized fluids creating the evolution of the image and the urban tissue. This operation is called vortex. 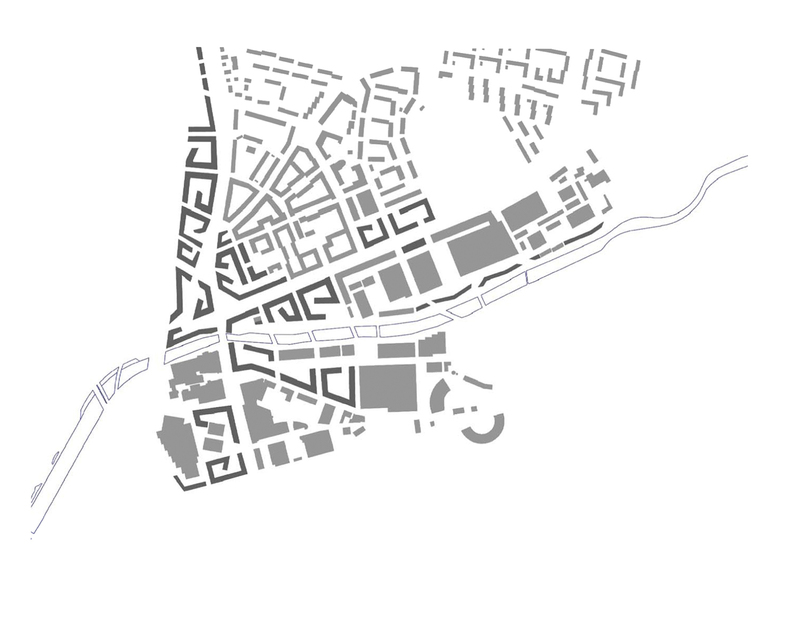 The strategy starts with completing the existing urban grid towards the competition area, by stretching the original urban block structure, using the same logics and existing patterns in order to fill the hole. 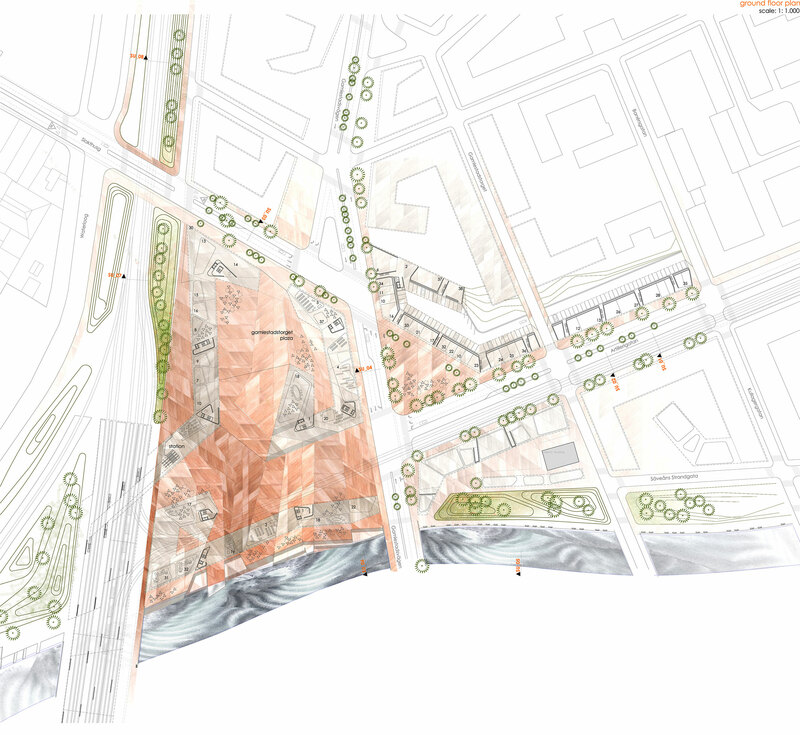 Gamledstaden, as European urbanity, presents the urge to rescue a potential area that has the possibility to become a vivid and expressive part of Gothenburg, where the importance of urban scale, mixed programme and integration of nature becomes the principal facts of consideration. 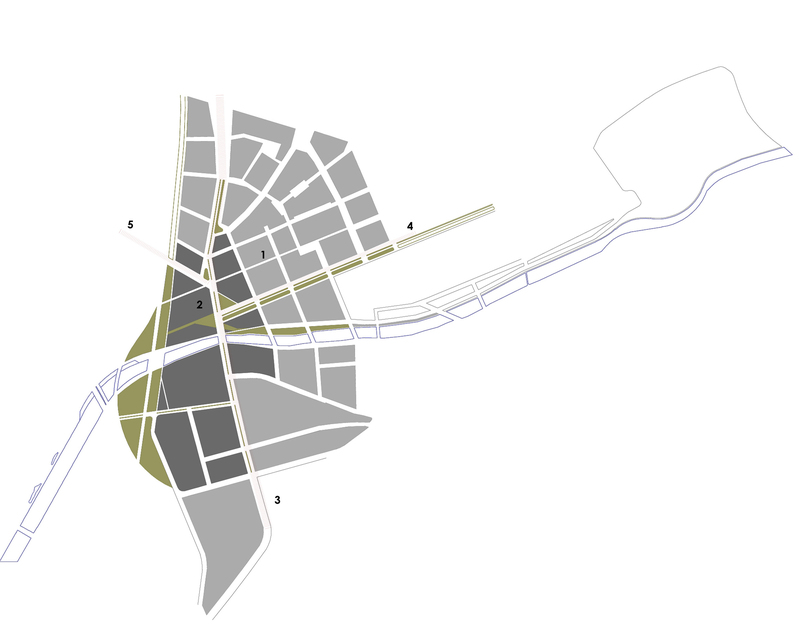 The proposal attempts to set a danger free zone where it is possible to get an attractive and safe new way of living the city but also a will to reflect the heterogeneity of its forms related to the spatial diversity of uses’ configuration, and to create public spaces to favour encounters among people in places they share. 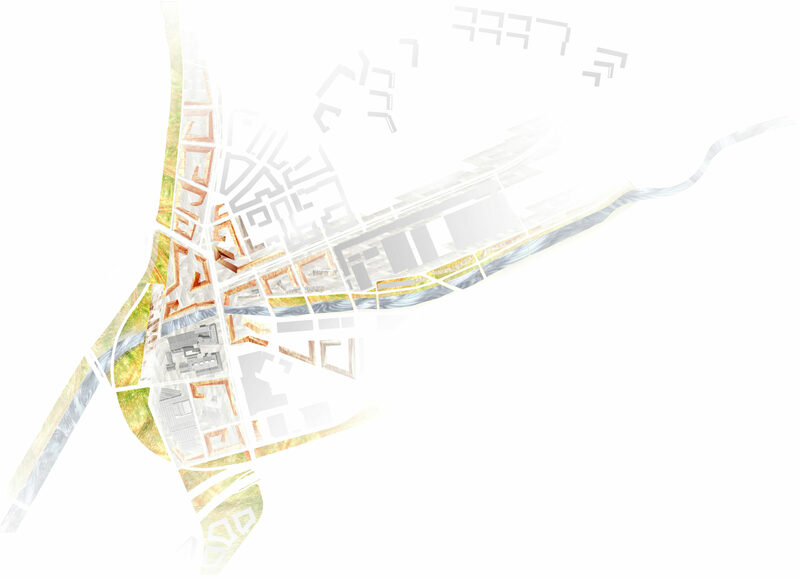 The treatment of macro and micro-scale of urban spaces was a key issue in the proposal. The project organizes flows of infrastructure, in order to give space to the main plaza that works as the principal concept: VORTEX. Vortex allows presenting the Plaza of Gamlestadstorget as the basic structured element of programme, green interventions and open space. 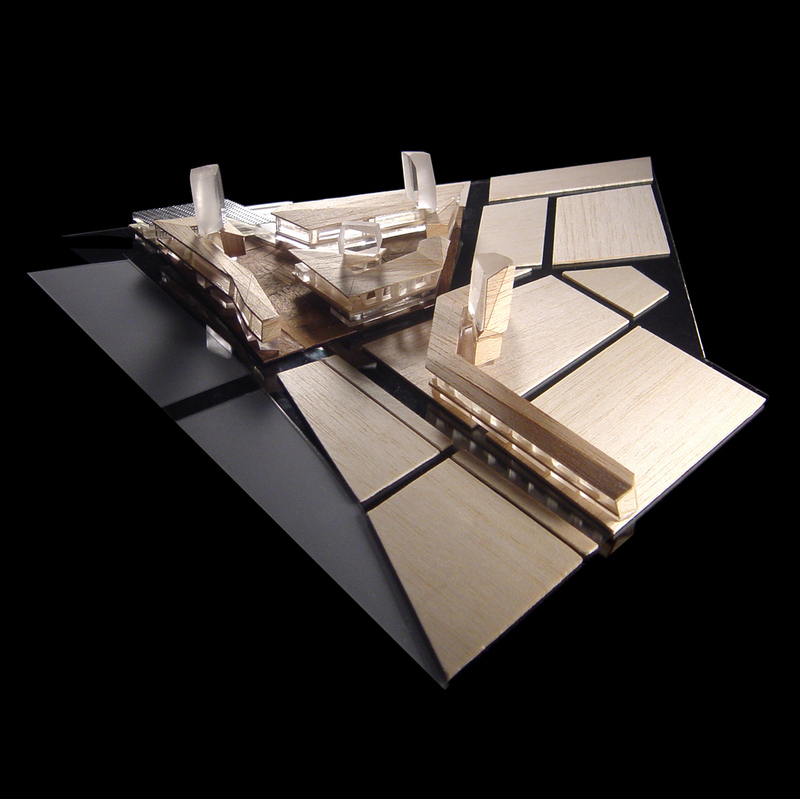 This plaza gives access to the Train-station, as a powerful node for the city. The Plaza is the result of reconfiguring on a macro-scale the existing pattern of the urban tissue. 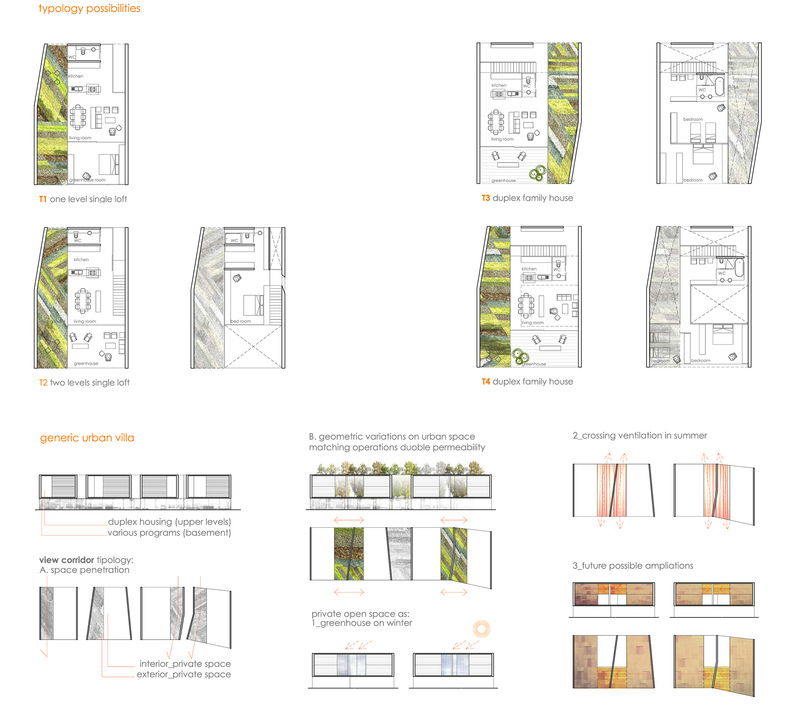 This grid allows incorporating on itself similar building configurations in order to get the desired densification with new mixing of programme and typologies. 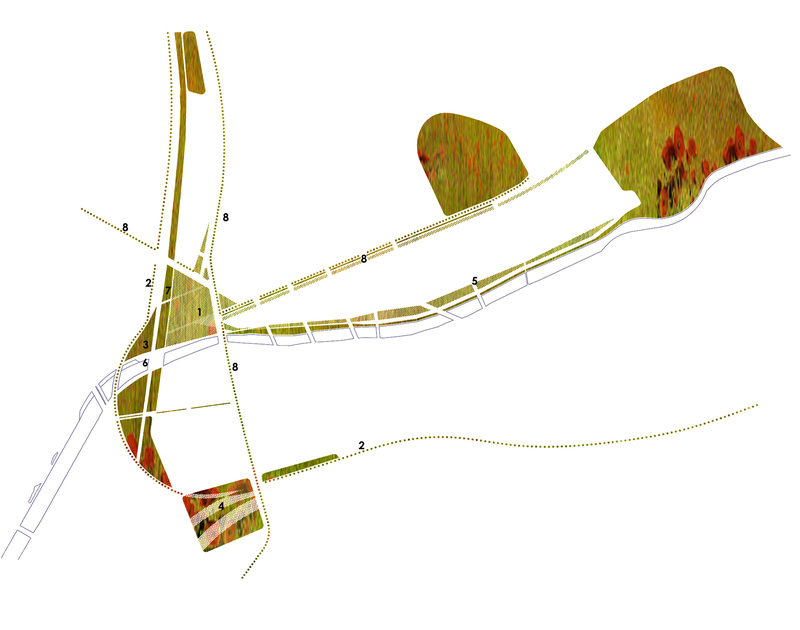 The project traspolate existing urban patterns into geometrical islands (“L”, “C”, “U”, closed frames). 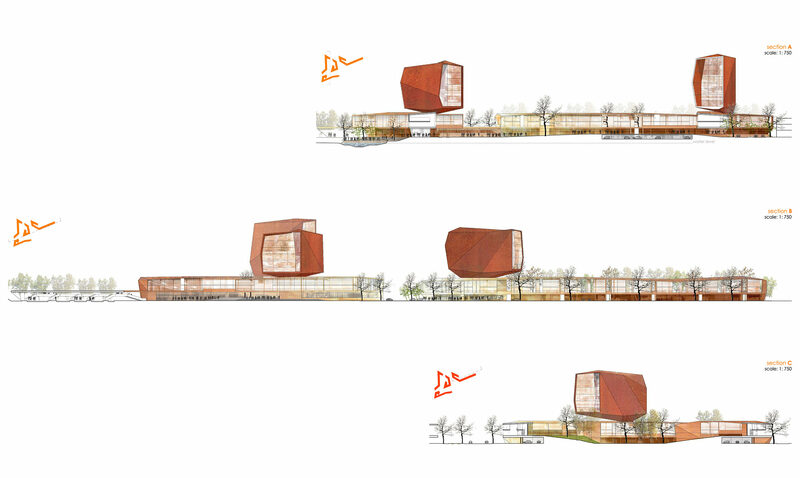 Those are typologies that at the same time confine urban spaces alternating at most with green spaces. 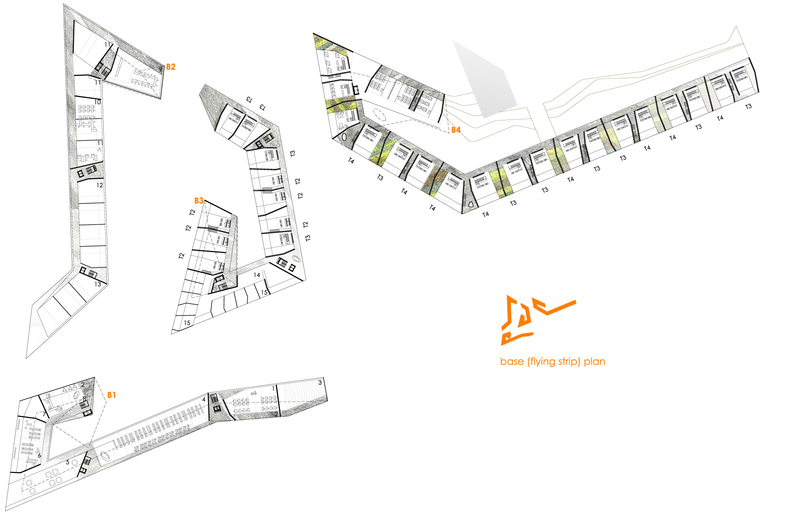 The program is graded from pure housing and mixes up with offices-culture-leisure while getting closer to the station. Building deployment confine the “Gamlestaden Plaza” resulting on a 24 hour vivid space. 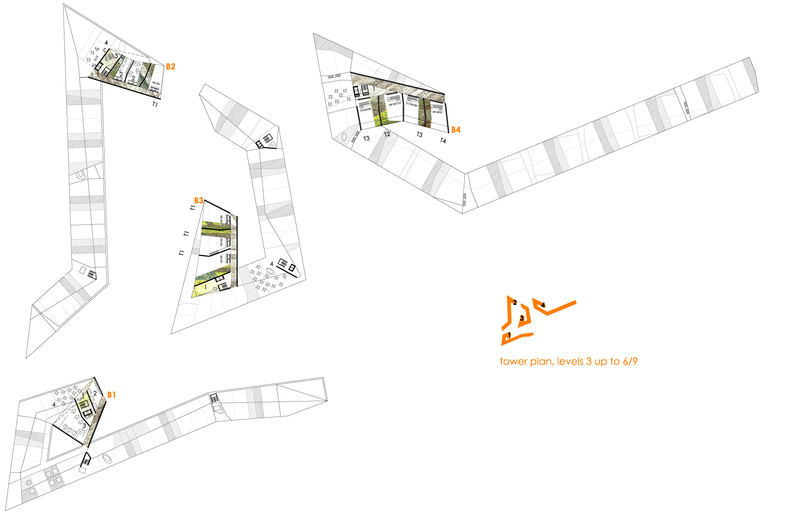 The proposed tectonics experiment different grades of transparency and permeability between public and private spaces.